water your mama soul :: begins in two weeks! That just 10 minutes a day will reconnect you with yourself. Accessible self-care practices that remind you to take care of you and fill the well inside you. Using your camera to help you see the beautiful, real truths throughout your day. Stories that invite you to know you aren't alone in the beautiful, messiness of being a mama. This is Water Your Mama Soul. to give you since your first baby was born. A mama's day is full of so much. Shifting from one role to the next can be rewarding and really hard sometimes. Some days it can leave you feeling exhausted even while you are aware of the joy. In the midst of it all, you can forget about the one person who needs your support most of all: You. I created this class because I believe 10 days of focused creative self-care for just 10-20 minutes a day will change your life. Mamas have little time for themselves and need to be able to turn to accessible practices to ground themselves in the midst of real life. I'm running this class again live because I believe in the power of a circle of women supporting one another and saying, "I hear you. Me too...me too." In Water Your Mama Soul, you will use your camera, journaling prompts, and self-care practices to reconnect with yourself. This will be a 10-day journey into self-care, healing, and noticing what you need. You will come away with practices you can use again and again to fill up your own internal well so you can be more present to your loved ones and other things in your life. I want as many moms as possible to be able to take this class, so I've kept the price lower than my other courses. If you and a few of your friends want to take the class together, I also have a special friends group rate for four or more. Just email me for information. Registration for this session is now closed. Water Your Mama Soul will be available again soon. To find out when, send me an email and I'll add send you a note when it's available. For the entire month of March, we will also gather in an optional Facebook group to share pieces of ourselves and support one another. Here you will be able to connect about your experiences with the soul care work, share photographs, and have space held for you as you need it. I'll be in the group daily during the course to support you and connect. A reconnection with yourself and who you are outside of all the roles you play. 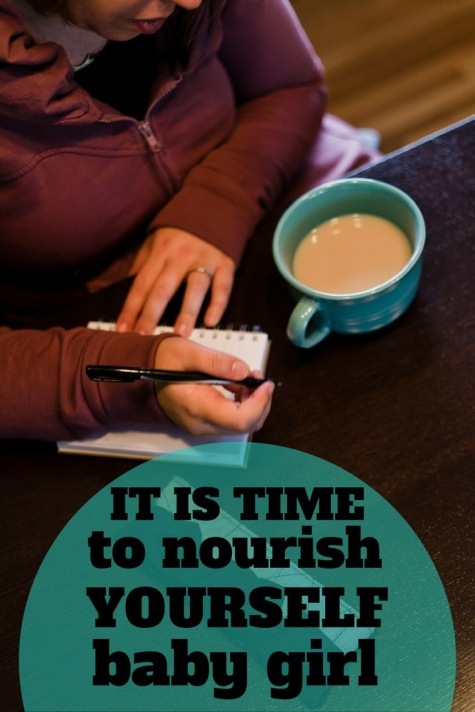 Self-care practices that will nourish you and recharge you whenever you need it. Creative practices that will ground you in the present moment and can be used again and again. Photography prompts that you will be able to turn to daily. Note: Registration is now closed. To register, just follow the instructions by pressing the "Add to Cart" button above. You will be taken to PayPal's site to pay. Your confirmation email from PayPal confirms your spot in the course. When we get closer the first day of the course, you will receive more information from me, including an invitation to the Facebook group. If you want the class emails sent to an email other than the one you are using with PayPal, please let me know. To read more about the course, including an FAQ, head over here.